Come Join us to celebrate Yoga all around the World! Yoga for beginners to advanced! 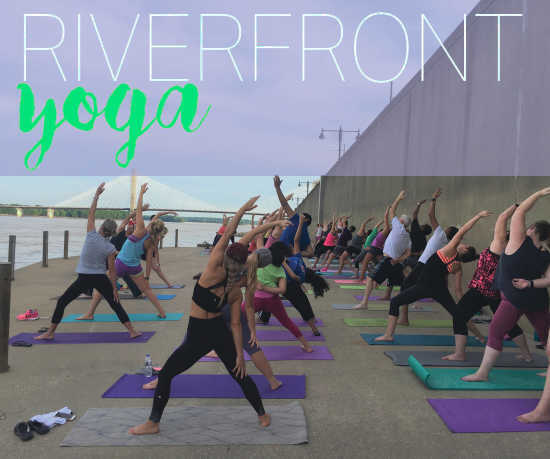 We will celebrate with free Yoga along the Mississippi River in the Riverfront Park and finish with a delicious treat from Faithfully Fed. Class meets at the riverfront (steps near the flood gates at the intersection of Broadway and Water Street). Come and enjoy an energized yoga flow with a scenic backdrop. NO experience required. Please bring a mat, towel, and water. Mats are provided, if needed.